Olesa de Montserrat, through its Passió, is the frame that allows you to witness a beautiful tradition. One that generations have been preserving for almost five centuries to become a poweful theatre play. One thousand people are the responsibles for keeping it alive. 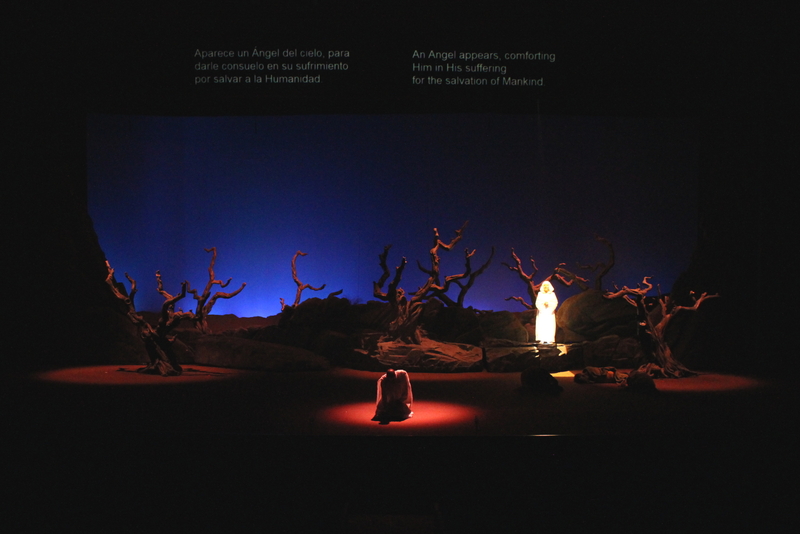 Year by year, La Passió d’Olesa is performed in one of the biggest stages in Europe. Moreover, La Passió d’Olesa is the one with a subtitle system that allows you to enjoy the play both in English and Spanish -the original text, in the stage, is in Catalan. This subtitle system, helped by gorgeous scenography, allow every English speaker to enjoy the play at its best. La Passió d’Olesa was the fist passió awarded with Creu de Sant Jordi, an awoard from Catalan Government, received in 1992. March: 3rd, 10th & 24th morning; 16th &30th afternoon. April: 7th & 19th morning; 13th afternoon. Morning plays: from 10.15 to 14h. Ask for offers and discounts available. One hour before the play starts at the theatre ticket office.